Located near the entrance of the Venue, a powerful sound system is set up to project sound towards the Baraat and surrounding area. DJ Desi Soundz will mix live Music, Bhangra, Hindi and Garba songs to entertain the crowd. Music can be customized to your choice and style. A second sound system will be set up at the location of the Wedding Ceremony, insuring a continuous flow of music from the Baraat to Ceremony. If you want your party to be mobile then this is the choice. This comes with a professional state of the art DJ setup in our vehicle along with a generator providing power to our sound system. We will mix the best wedding related music and also MC from our vehicle. In this option we will lead the baraat procession providing a grand entrance to the venue. A second system for the Wedding Ceremony will also be set up for a continuous flow of music. Imagine having a Live Dhol Player for your Baraat/Jaan Procession. 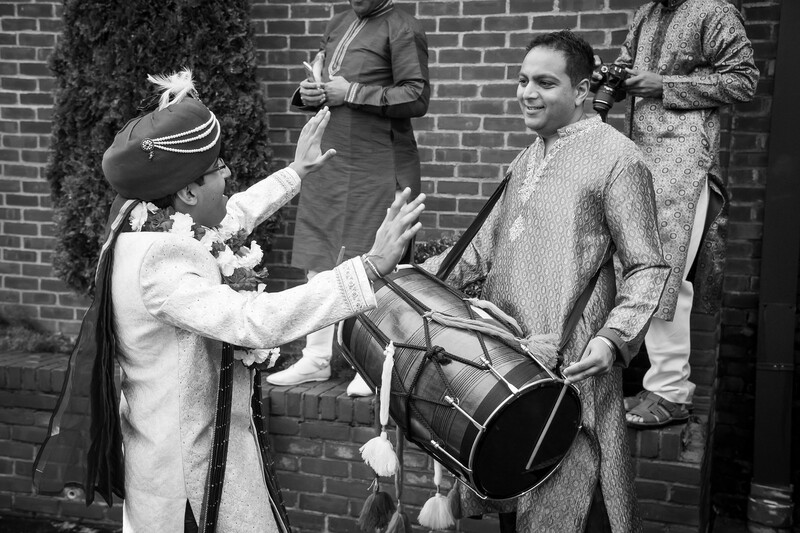 You and your guest will be dancing to the powerful beats produced our Dhol Players. Our Dhol Players comes dressed in a full traditional Punjabi outfit. 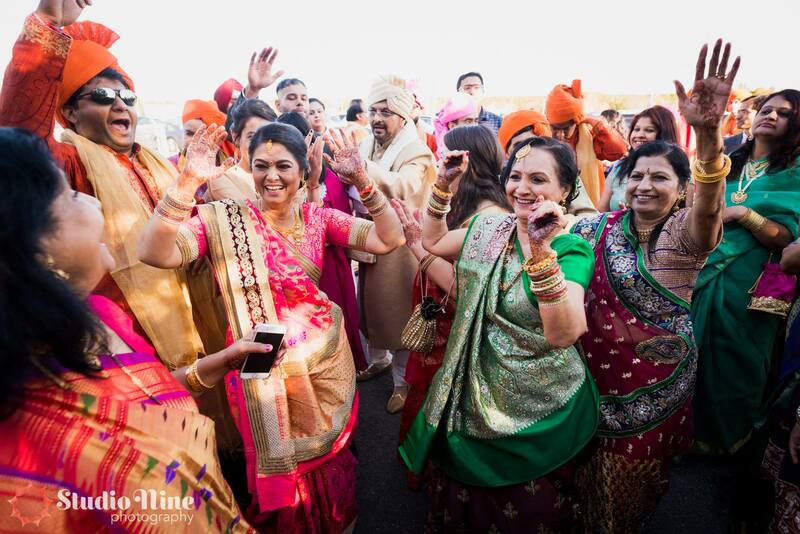 The combination of our Dhol Players and live mixing produces the ultimate Baraat Party. This is the most important day of your life as the bride and groom start their journey as a married couple. This special day of your life requires experienced and talented wedding professionals. 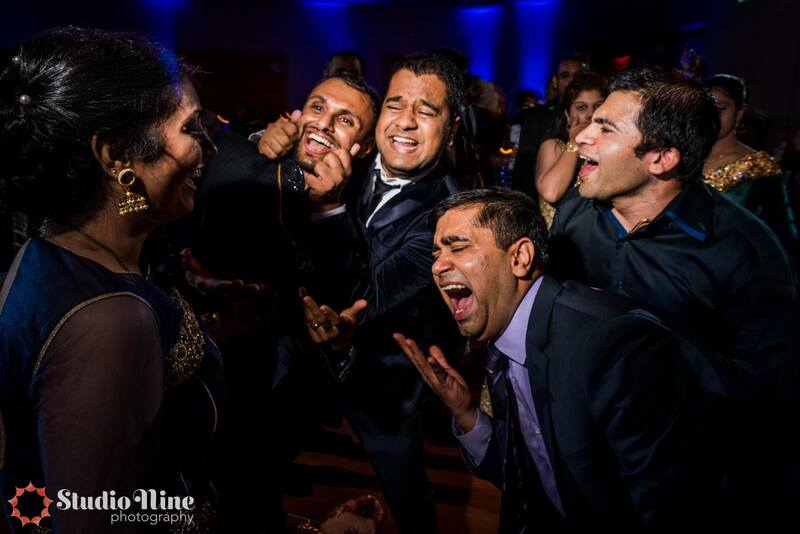 DJ Desi Soundz provides you with this experience, from Traditional Hindu Ceremony to Modern Fusion Weddings. 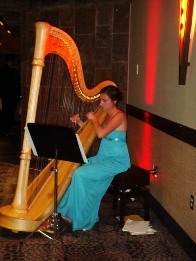 With our knowledge of different regional music we are able coordinate music to different parts of the ceremony (i.e. Gujarati – Lagna Geet, South Indian – Nadaswaram). We create an ambiance by playing our melodious Shehnai, Tabla and Sitar music in the background. Music can be of your choice to suit your style and traditions. Our standard wedding ceremony package includes DJ, MC, premium sound system, one lapel microphone and one hand held wireless microphone. Cocktail hour is the perfect kickoff to the Reception. A compact sound system is provided set up in the Cocktail area to ensure that the music is pleasing and appropriate for conversation to enhance the social setting. We will customize a playlist to your liking and can include soft instrumentals, jazz, classical songs, and much more. We also offer plasma screens for photo montages to display those memorable photos. 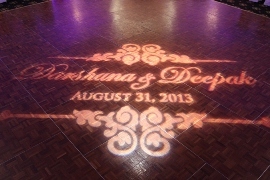 DJ Desi Soundz & Event Lighting can make your Dream Wedding a Reality!!! We offer a wide range of services listed below to customize and enhance your special event. All of our packages include a high energetic team of a DJ and MC. The MC will coordinate your event starting from the grand entrances till the last dance. Our high energy and professional MC’s will get your guests involved in the occasion and make sure that everything in the event is flowing smoothly. We pride ourselves in recognizing your guest’s music interests and catering to the night at hand by having talented DJ’s. We will mix all your favorite hits with a customized play list made especially for your event! We provide high end and visually appealing audio, visual, and lighting equipment for venues of any size and configuration. At DJ Desi Soundz & Event Lighting, we have wide range of lighting options available to cater to your event and create an elegant ambiance. 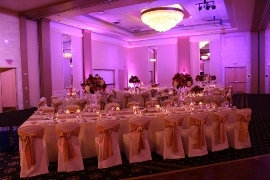 There are many lighting options available that can enhance your event. LED (Light Emitting Diode) lighting is the most popular and latest option available in lighting. We use LED lights that consist of Red, Green, and Blue diode in one light to create countless color options to match your event theme. We want to provide the most safest and dependable Up Lighting options. A custom monogram is the perfect finish to any elegant event. DJ Desi Soundz and Event Lighting can customize any logo and/or monogram that can be projected on the dance floor, above the head table or any wall. We can design custom monograms with your initials, names, designs, dates, images, and patterns to create a unique memory. Imagine yourself dancing around your initials on a dance floor! 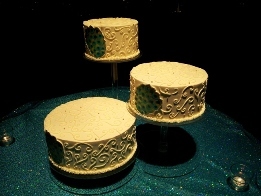 And as a special gift to all the brides we will give you that monogram at the end of the event as a memento!!! 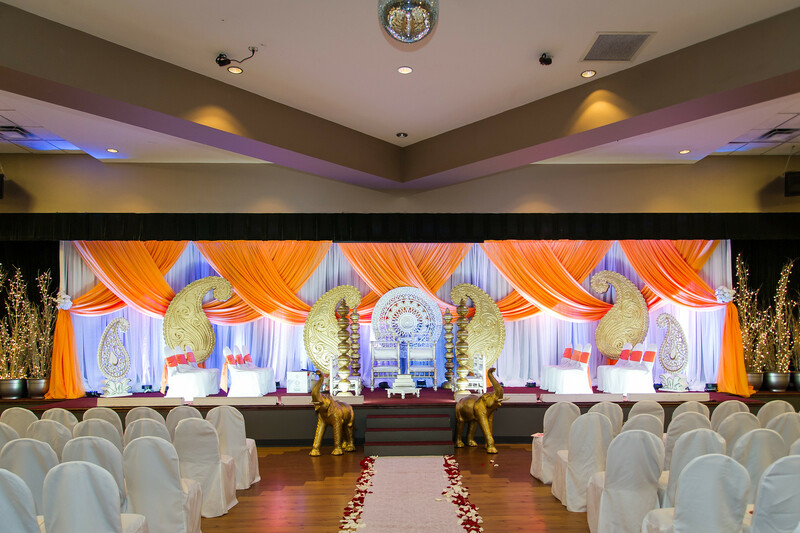 Desi Soundz and Event Lighting can provide spot lights for grand entrances and performances, our spot lights will direct the attention to the stars of your special event. This is done using proper placement of all the lights to match with your floor plan. Pin Spot fixtures are also used to highlight and accent center pieces, floral arrangements, wedding cakes, sweet heart tables and much more!!! Pin Spotting is essential when clients have elaborate center pieces / floral arrangements, this special lighting will create a bright glow on the center piece enhancing its beauty and adding elegance to your event. 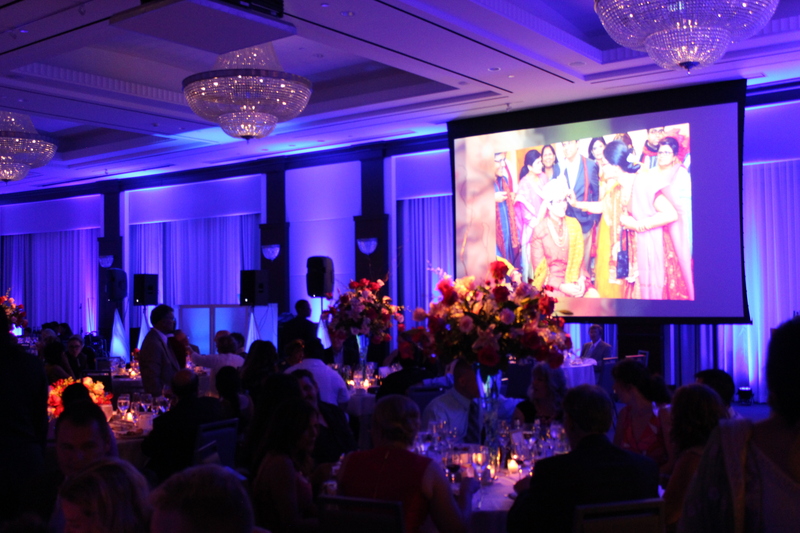 Projection Screens are recommended for any events from weddings to birthday parties. We have several different size screens which can be used with our 3500 Lumen DLP Samsung projector to project the best quality pictures. Most of our clients use this service to display Digital Pictures along with live audio feed during the cocktail hour, dinner and during the event. Whether you need someone to help you plan your big event or be there the day of to oversee the event, we can offer you experienced event planners and coordinators. Our event coordinators are perfect for the busy host who can't dedicate as much time as they would want on the planning process. Let our experienced event coordinators put your mind at ease during your big event. Our event coordinators can handle virtually every detail including budget preparation, timelines, checklists, and coordination of all events. They will keep the event flowing smoothly while the hosts and family enjoy the day, being confident that every detail will be executed with precision and perfection.